Express is a Node.js Web Framework. Node.js is an amazing tool for building networking services and applications. Express builds on top of its features to provide easy to use functionality that satisfy the needs of the Web Server use case. This ebook uses best practices examples about how to build Node.js and tests APIs; This is a guide for beginners and advanced developers. Learn how to build scalable APIs using the Node.js platform and ES6 (EcmaScript 2015) with this quick, informative guide. Developing systems for the wide range of devices available in the modern world requires the construction of APIs designed to work only with data in a centralized manner, allowing client-side applications to be developed separately and have a unique interface for the final user. Learn the basics of Node.js: non-blocking I/O, the event loop, modules, and the Node.js runtime environment. From there, dive into building practical solutions that interact with filesystems and streams, access databases, handle web server message queuing, and more. 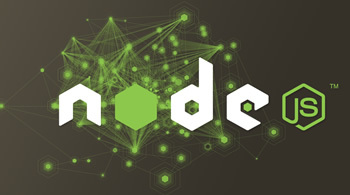 Node.js What's all the buzz about? Follow along in this workshop/tutorial to get your head wrapped around what it takes to make a Node project from scratch. Learn how to build and deploy Node.JS applications on Heroku. There are over 70,000 modules on npm, so there's a wildly big number of opportunities for checking out how various npm modules can work together. This book showcases them one 'recipe' at a time.